Product prices and availability are accurate as of 2019-04-18 15:14:13 BST and are subject to change. Any price and availability information displayed on http://www.amazon.co.uk/ at the time of purchase will apply to the purchase of this product. 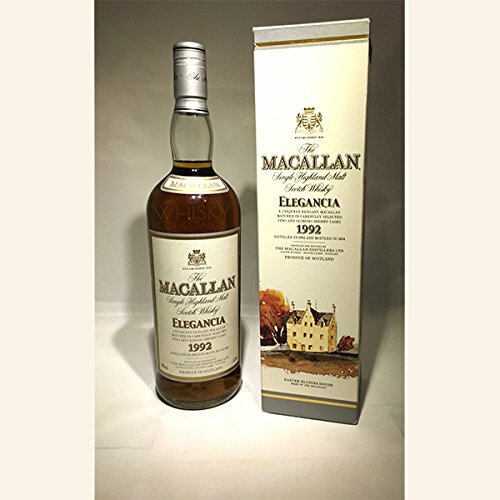 A 1992 vintage litre-bottling of Macallan Elegancia. A 12 year old expression that was available as a Travel Retail exclusive in the mid-2000s.